The summer season is set to begin in India, and it is the time of the year to start using your ACs to enjoy the season without humidity and discomfort. Have you also been planning to bring home a brand new AC but confused on its Star rating? You are not alone! 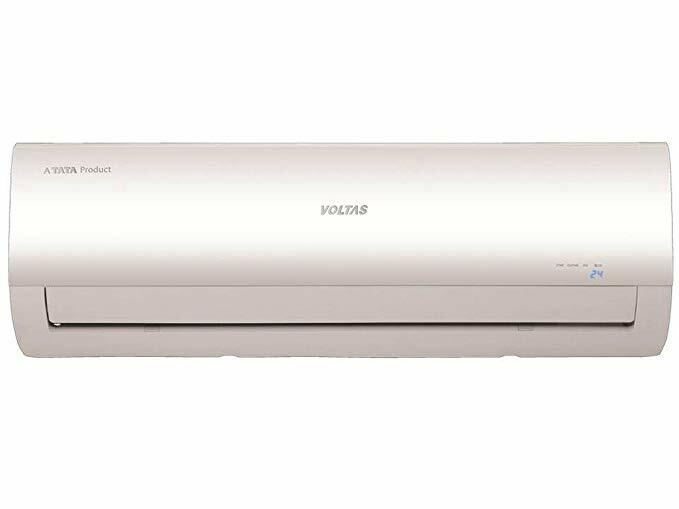 Many potential AC customers in India are not able to understand the Star rating of an AC. They end up purchasing an AC priced lower with fewer stars leading to an increase in the AC temperature. Hence, to make to understand the concept of the Star rating of the ACs and why buying a 5 Star AC is right; here is a post to help you out! What is the Star rating on an AC? Nowadays, you can see almost all home appliances in India such as ACs, fridge, and more carrying Star on them. Stars on an appliance denote the energy efficiency of it. It means the amount of power that it will consume to cool your room. Suppose you got a 3 Star AC and your friend has a 5 Star AC, then your friend will be able to save up to 25% more energy on its operation. As a result, your friend will be paying up to 25% lower power bills. Needless to say, you will need to pay an extra of up to 25% on the electricity bill which may hamper your budget. Hence, it is suggested by experts to invest a bit more and buy an AC with more stars to pay lower power bills later. The higher the Star rating of an air conditioner, the higher will be its cooling efficiency as well. For example, if an AC has a 5 Star rating, it will be able to cool a large area with less power consumption than ACs with a lower Star rating. A 3 Star AC comes with an Energy Efficiency Ratio (EER) between 2.9 and 3.09, while a 5 Star AC has an EER of 3.3 and more. The difference here means that a 3 Star AC would cost you around Rs.580 per month in power charges. On the other hand, a 5 Star AC of equivalent capacity would cost Rs.500 as per the energy bill. What does it show? It indicates that a 5 Star air conditioner is actually inexpensive in the long run. Even when you use a 5 Star AC where a 3 Star AC (area or room) is required, even then you will end up paying more as the light bill irrespective of the Star rating. Overall, it is good to buy and install a 5 Star AC in a large space to enjoy paying a lower electricity bill. However, for small rooms of up to 90-100 square feet, you should buy a 3 Star AC to save on the power consumption. Now that you have an idea of the Star rating of the ACs, and if you would like to buy an AC without stretching your wallet, then you can buy it on easy EMIs. Bajaj Finserv EMI Network is here to help you buy a 5 Star AC or a 3 Star AC by dividing their costs over a tenor. You only need to pay an exact EMI figure per month and nothing more. As a result, you can save while you shop on EMIs compared to other payment options. Example – If the price of an LG AC that you wish to buy is Rs.25,000 for a tenor of 6 months, then you will need to pay only Rs.4,166 as the easy EMI and nothing else. Bajaj Finserv also presents the Special Summer Offer on ACs and other home appliances. It can help you pocket an Insta Credit of up to Rs.5,000 in your Bajaj Finserv Wallet for buying an AC worth Rs.20,000. What’s more, you can shop for the latest ACs starting as low as Rs.20,000 and get cashback of up to Rs.2,000 on your electricity bills. Hurry, the Special Summer Offer is for a limited period only! You can now feel free to bring home branded ACs on affordable EMIs without hampering your monthly budget only across the Bajaj Finserv EMI Network. You can also submit your cancelled cheque along with the KYC documents at a partner store to grab instant financing to shop on EMIs. It can be done when you don’t have the Bajaj Finserv EMI Network Card. You can shop across the Bajaj Finserv EMI Network not only for AC but even for 1 million+ products across categories.